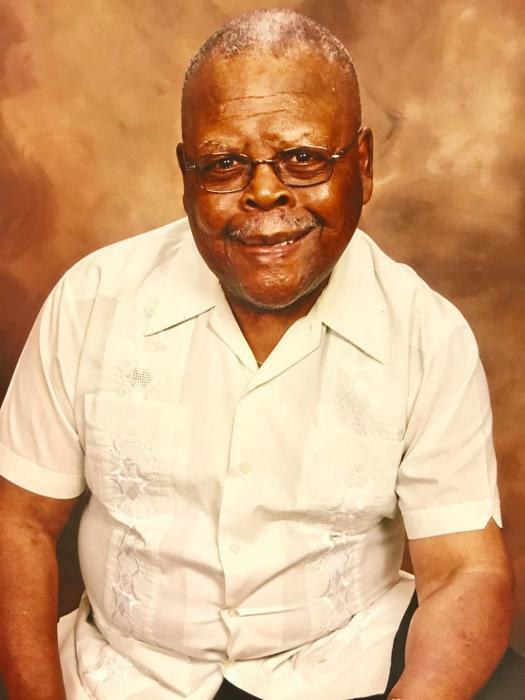 Obituary for Unice W Rice | Carter Funeral Homes, Inc.
Unice W. Rice Sr. Was born on June 06, 1927, in Columbus, Mississippi. He was born to the union of Reverend Samuel W. Rice and Nancy Swopes Rice. After completing high school in Columbus, MS, he served in the United States Navy. Upon completion of that term, he was drafted by the US Army. He received an honorable discharge after he fulfilled his duty serving in the United States Armed Forces. Later, he migrated to Ohio under the advisement and care of his dear Uncle Robert Swopes, for better job opportunities. He later sent for his wife and children after he secured a permanent job and housing. Unice Rice retired after being employed by U S Steel for over 30 years. During his early employment, he obtained an Associate Business Degree from an Elyria Business College. He was a leader and advocate in our family for higher education as a stepping stone for future generations. After retiring from US Steel, he worked part time for Burns Security for 30 years as part of the security team patrolling throughout the building. His model was “I worked for a living for 30 years now I am working for my health”. “UW” professed his belief in Jesus Christ and was baptized at a very young age. Unice was a loyal, devoted outstanding member of New Hope Baptist Church for over 60 years. He served as a Deacon, Chairman of the Deacon Board, Sunday School Superintendent and teacher, Choir member, Missionary Board, Finance Committee and Bus Driver. He held a special relationship with many in the local community, was a respected leader. His life revolved around service to God, family, and friends. His legacy was his love of people and God. He sacrificed for others and lived simply by demonstrating, “deeds not words”. Unice W. Rice Sr. departed this life on Saturday, August 11, 2018. He was proceeded in death by: his father, Rev. Samuel W. Rice; his mother, Nancy (Swopes) Rice; Sisters, Lucile Rice- Pryor, Sallie W. ‘Sis’ Noble and first wife Susie W. (Jones) Rice; Grandson, Jasmine Earl Wade. He leaves to cherish his memory; his devoted and faithful wife Bertha Rice, Seven children from the union of Susie W. Rice. Sons, William Frank (Alice) Rice of Signal Hill, CA; Sammie (Ethel) Connor of Columbus, MS; Unice Jr. (Retta) Rice of Snellville, GA; Rodney Lamar (Marauda) Rice of Lithonia, GA; Daughters, Dorothy Rice Thomas of Powder Springs, GA; Barbara (Danny) Wade of Powder Springs, GA; MaryAnn Rice Greenhill of Dallas, GA; Carol Jean Rice of Dallas, GA. Sixteen grandchildren; twenty one great-grandchildren; two great-great grandchildren. Sister, Mary L. Thomas-Cook of Montgomery, AL; Brother, Willie E (Connie) Rice of Elyria, OH; host of nephews, nieces, cousins and friends.